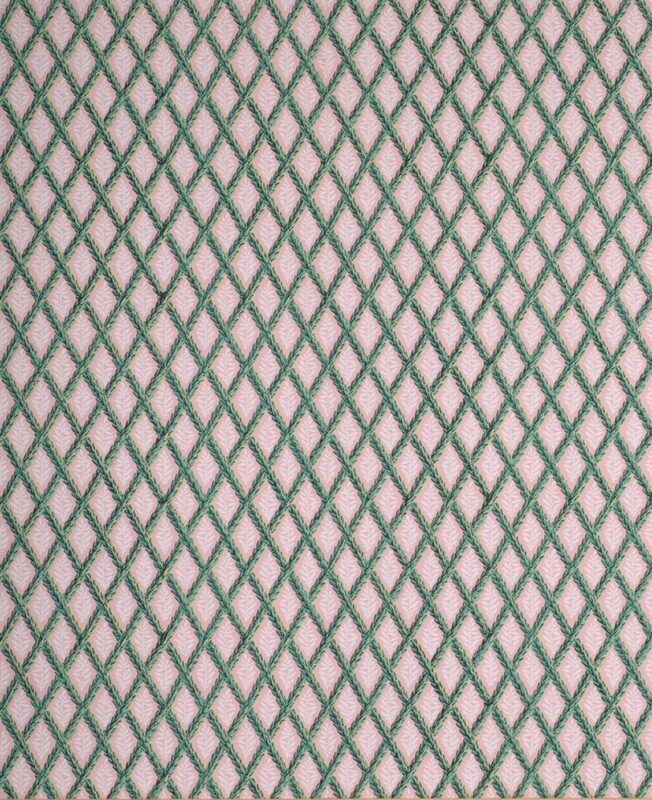 This simple pattern was found on a wedding box made in Paris in May 1804; the box is now in the collection of the Musee de Papier Peint, Rixheim, France. 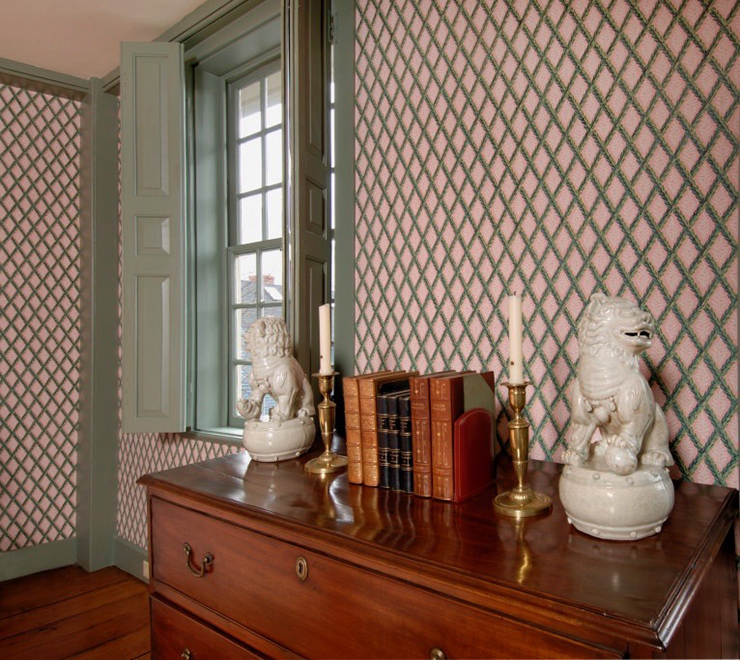 The document colorway with its soft pink background and vivid greens is very a la mode for the early Directoire period. The scale of the pattern works remarkably well for rooms of almost any size and acts as an excellent backdrop for wall hangings. This paper is a superb choice for bed chambers, small parlors and rooms where a less dramatic effect is desired. Imperial Measurements: Repeat 4 inches, width 19 inches, length 11 yards, straight match. Metric Measurements: 10.2 cm, 48.6 cm, 10 m.